Yet Another Gold at Chelsea with Dyofix! 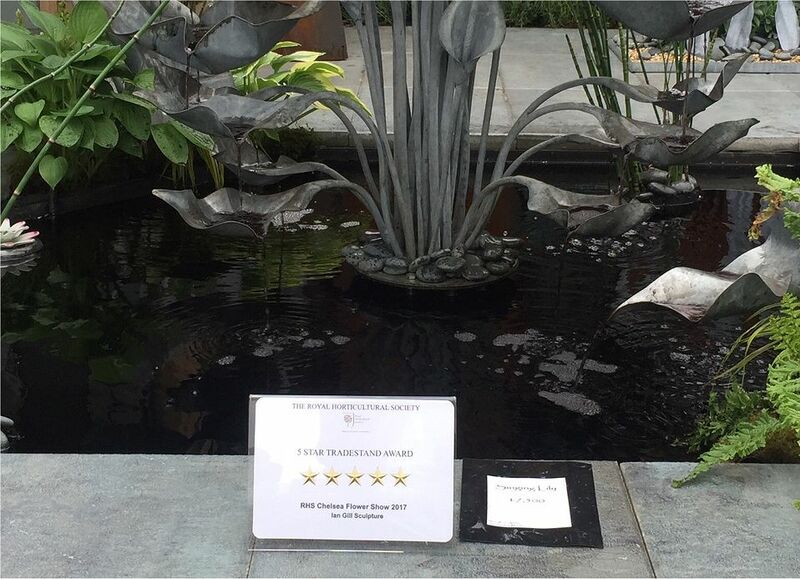 There were some fabulous decorative pond examples at Chelsea Flower show in 2017 and none more exciting than the ones on Ian Gill’s award winning trade stand. He won the coveted 5 gold star award for his trade stand which included ornate sculptures in and around a decorative pond, enhanced by the atmosphere creating Dyofix Pond black. 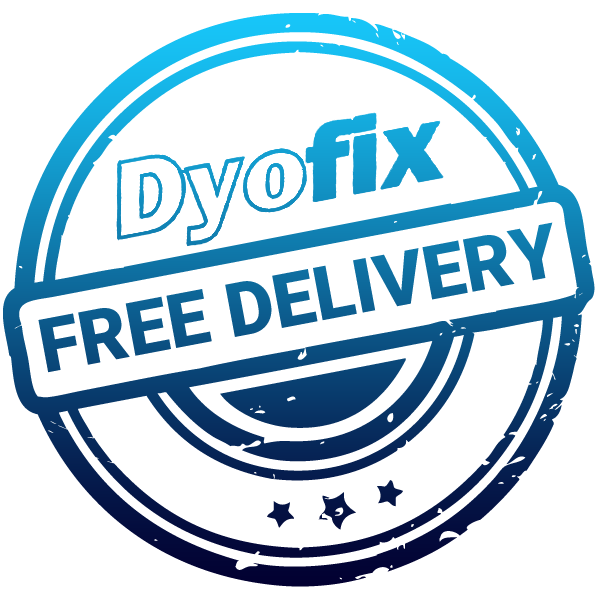 The black pond dye adds depth to the pond water creating a remarkable black mirror surface. Ian Gill AWCB is an award winning metal sculptor who has been designing and creating contemporary works of art for almost two decades. He studied at Hereford Collage of Art & Design for 3 years perfecting his knowledge and understanding of blacksmithing, also incorporating wood and stone. His full understanding of hot metal has enabled him to use a combination of traditional blacksmithing and modern industrial techniques, working with heavy gauge materials that can be hot forged. His inspiration comes from natural organic forms combined with an industrial twist representing nature in its natural form, creating the captivating work he produces today â€“ ‘Conceptual Reality In Steel’. Ian Gill’s work can be viewed at various exhibitions around the UK throughout the year. His public commissions include 4 permanent installations in Bushy Park Water Gardens Hampton Court and he most recently created and installed an exclusive large set of bamboo/leaf gates on the Kings Road London. Ian was also commissioned to design and produce a selection of sculptures for Coworth Park Hotel (Dorchester Collection). He has exhibited widely and his work is held extensively in collections throughout the UK and Europe, as well as being sold through Sotheby’s. Ian’s work has recently been selected to represent Sculptors from the UK as part of the 2016 metal symposium held the Czech Republic. Ian will be producing his chosen design to be permanently installed in the city centre of Mlada’ Boleslav.